Beautiful new swimsuit design by boutique designers Isobella and Chloe. 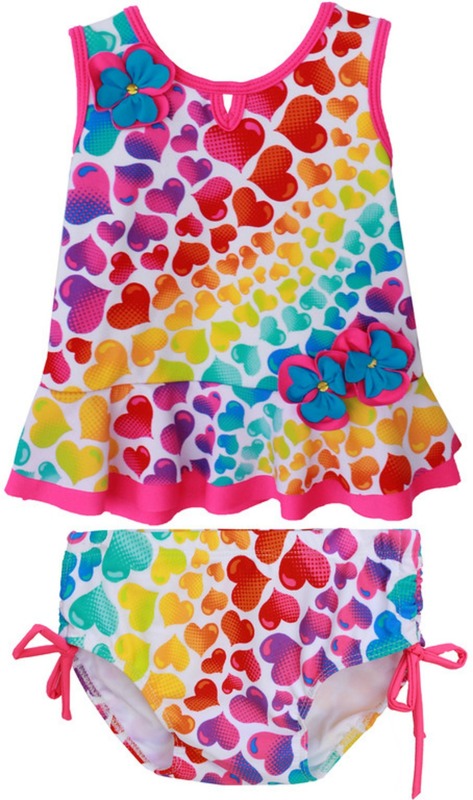 Baby girls swimsuit features soft nylon tankini top with color hearts in a rainbow print with soft Infant /Toddler swimsuit ruffles at bottom and wide shoulder straps. Full coverage lined matching bikini bottom. Easy fitting, bright and comfortable. This swimsuit features a rainbow of colors and just imagine how precious it will look precious when paired with her sunnies or any accessories!